Texas Baptists will welcome Dr. Jerry Carlisle to the position of Vice President for the Texas Baptist Missions Foundation (TBMF) starting April 16. Carlisle comes to Texas Baptists after serving 13 years as senior pastor at First Baptist Church in Plano, as well as adjunct professor at Dallas Baptist University (DBU) for 11 years. Prior to that, he held a variety of pastoral and ministerial positions in Texas and Missouri. In his new role, Carlisle will work with donors to help raise funds for the ministries Texas Baptists and TBMF support. He plans to maintain a similar mindset in this job as he has had all along as pastor. "Pastoring is about leading, caring and feeding and helping people to see God's vision for their lives," Carlisle said, "and finding ways to invest their lives and their resources in that. That's exactly what this role is with TBMF." He received both his Master of Divinity and Doctorate of Ministry at Southwestern Baptist Theological Seminary, and has a membership with the Association of Fundraising Professionals for the Dallas and National chapters. Carlisle has previously served as Texas Baptists president, first vice president and chair for several committees including the institutional funding study committee and institutional relations committee. "We are pleased to have Jerry come, especially with his experience with Texas Baptists as president and vice president of the convention," said Bill Arnold, president of TBMF. Arnold said having Carlisle's pastor perspective and close connections with Baptists across the state will be advantageous to the Foundation's efforts in reaching prospective donors. Carlisle has also served on other Baptist entity committees including chair of the audit committee for the Baptist Loan Corporation, trustee of the Academic Affairs committee at University of Mary Hardin-Baylor and chair of the budget and finance committee for the Baptist World Alliance (BWA). He said he sees his involvement with BWA and opportunities he has had to represent Texas Baptists around the world as ways God has been preparing him for his upcoming role as TBMF vice president. 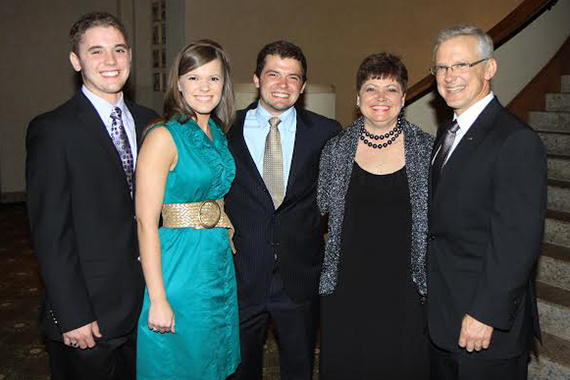 Dr. David Hardage, executive director for Texas Baptists, expressed that he is pleased Carlisle is joining TMBF's staff. "His love for the Lord, his belief in the Church and his knowledge about Texas Baptists make him a perfect fit," Hardage said. Carlisle resides in Murphy, Texas, with his wife, Dedi. They have three children—Elyse, Collin, and Caleb. He will continue to teach as adjunct professor at DBU on a needed basis. "I hope to try to help people fulfill their sense of his leadership in their lives," Carlisle said passionately, "specifically with this to work with the Foundation team in helping Texas Baptists join God in His work of reconciling the world to Himself."